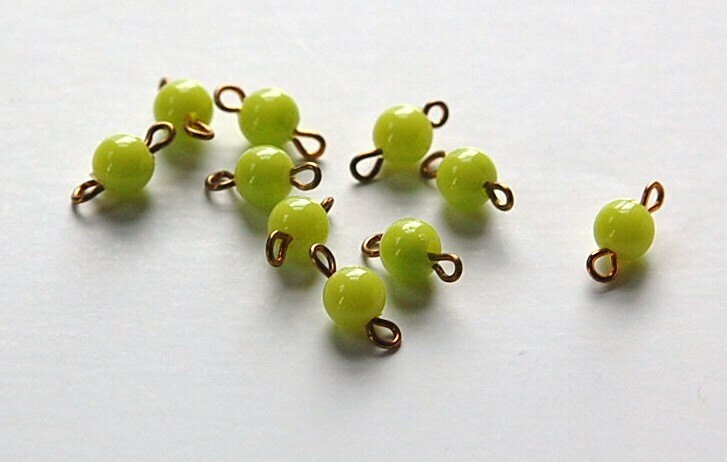 These are vintage acrylic beads with 2 loops. 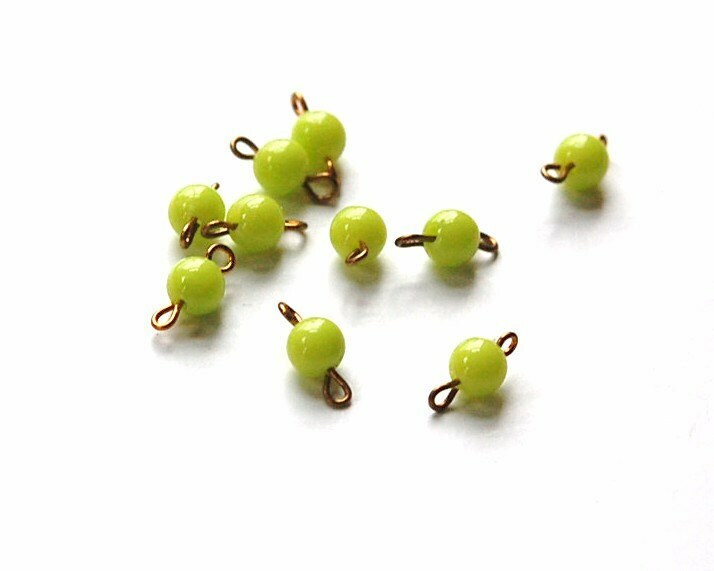 The bead is a lime green, almost neon green. The metal has a darker, almost coppery patina, pretty against the green. 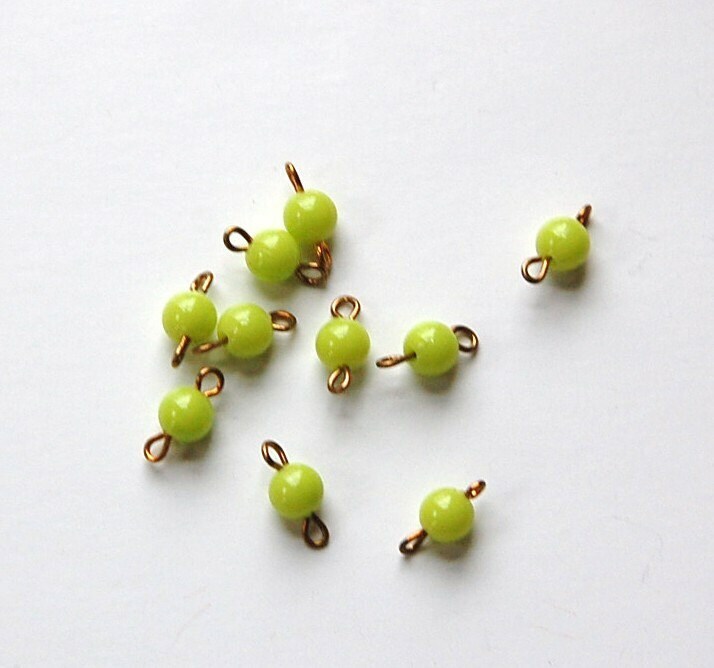 The bead measures 6mm and they are 13mm long with the loops. You will receive 10 pieces. As always beautiful vintage goodies, fast shipping, and impeccable service!